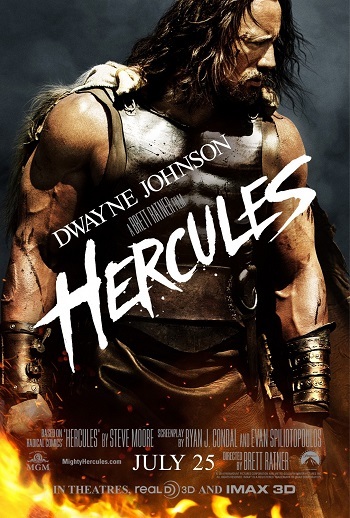 Synopsis: Nearly 3,200 years ago, a tormented soul walked the Earth as neither man nor god: Hercules, powerful son of the god-king Zeus, and for this he received nothing but suffering. After 12 arduous labors and the loss of his family, this dark, world-weary soul turned his back on the gods, finding solace only in bloody battle. Over the years, he warmed to the company of six similar souls, bonded by their love of fighting and the presence of death never questioning where they go or who they fight, just how much they will be paid. Now the King of Thrace has hired these mercenaries to turn his men into the greatest army of all time, which means training them to be as bloodthirsty and ruthless as their own reputation. It is time for this band of lost souls to finally have their eyes opened to how far they have fallen and the narrow, perilous path to their own redemption.